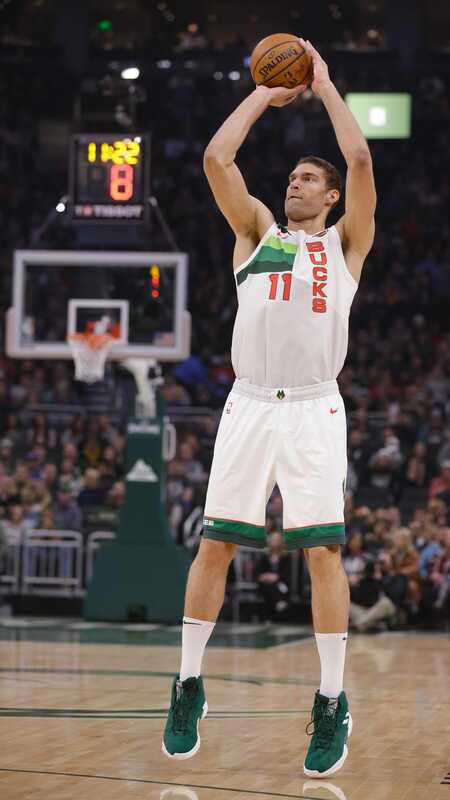 Led by their starters, the Bucks cruised to their fourth straight win, 121-98, against the Pistons in front of a sold-out crowd at Fiserv Forum. Robin Lopez has made a huge difference in the Bucks lineup. I had no idea, when the Bucks got him, that he'd be the guy they needed to plug the center on defense, and can score, when he needs to. I wasn't so sure about him either but he's been a really good fit. He's been pretty decent as a defender and rebounder but what has made him such a nice fit is his ability to hit from outside. It forces his defender to honor his shot out to the 3-pt line and leaves the middle much more open for Giannis to do his thing. A classic wide-body center who can't shoot with any range would likely be a handicap on this team on the offensive end. I remember the words of Al McGuire. "You need an aircraft carrier in the middle to win games!" He was referring to a guy who could make others look better because of his play, not necessarily the best player on the floor.